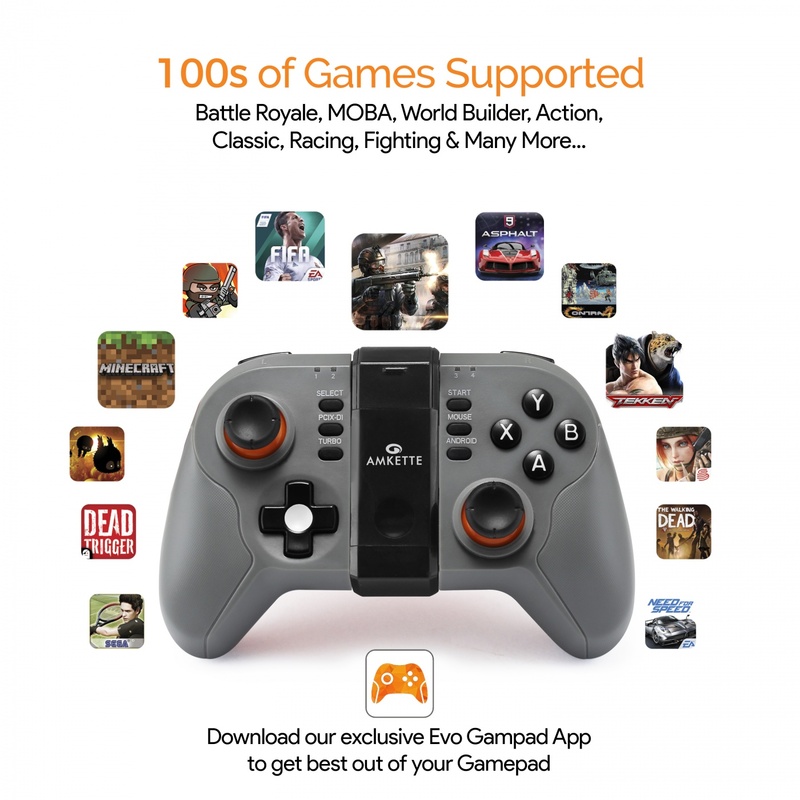 COMPACT AND PORTABLE – With Amkette Evo Gamepad Go, you can turn your smartphone into a gaming console on the go. The design so compact, you can carry it wherever you go. So, don’t you worry about the place, just let the game going! Please Note:- Officially PUBG is NOT supported. 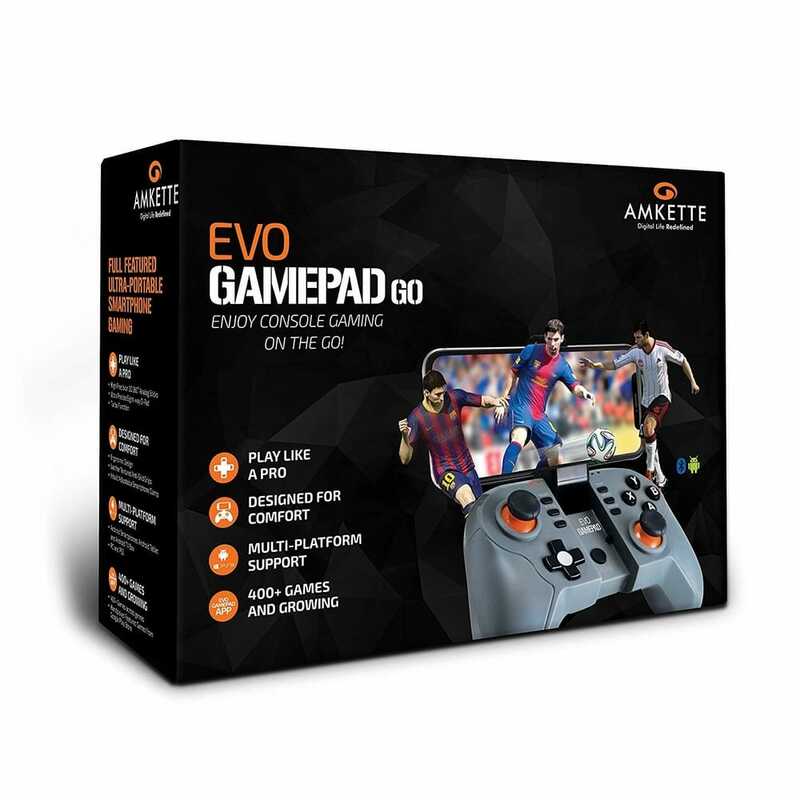 ACCURACY AND PRECISION – Amkette Evo Gamepad Go is designed to offer you PRECISE and RESPONSIVE controls with dual analog sticks, analog triggers, and responsive action buttons. 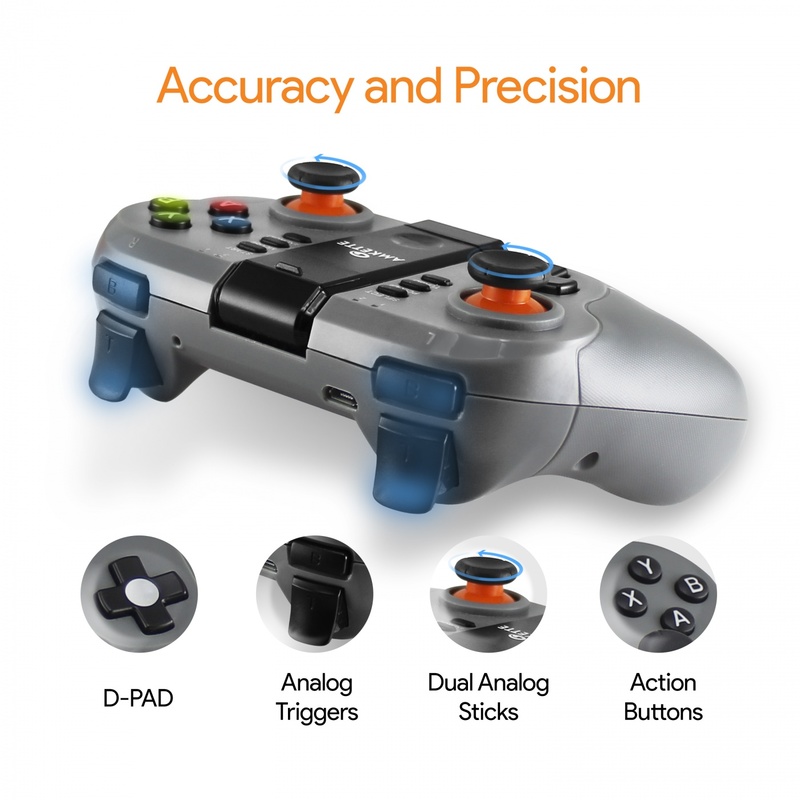 You can also enable Turbo Function for triggers, action or any other buttons as you require. So take aim, and pull the trigger! 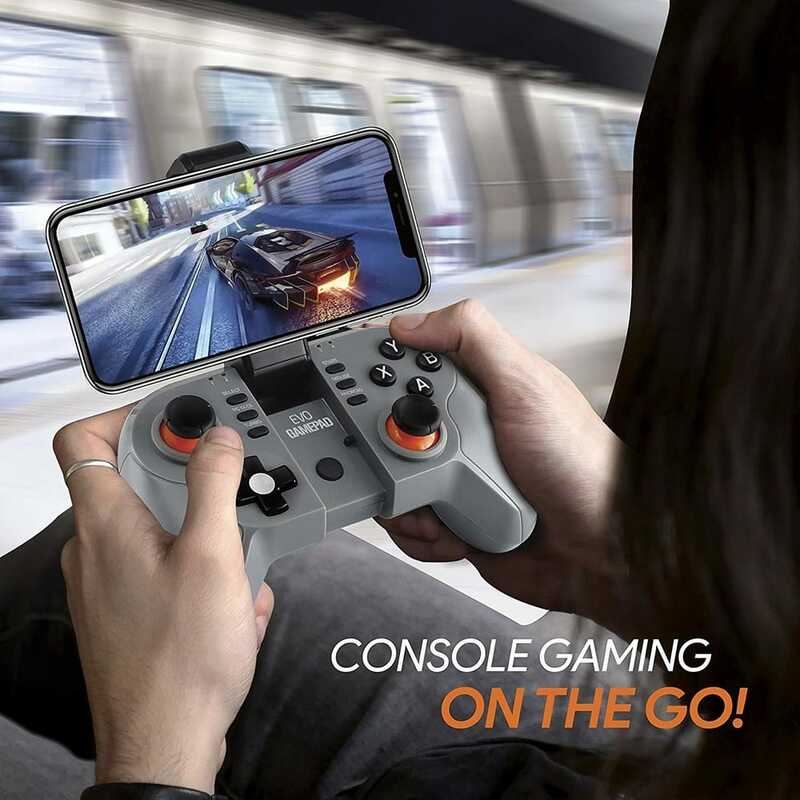 LOW LATENCY BLUETOOTH 4.2 and BIG BATTERY will enhance the overall experience with better connectivity and LONG PLAY TIME. Auto power saving mode ensures gameplay of up to 12 hrs. 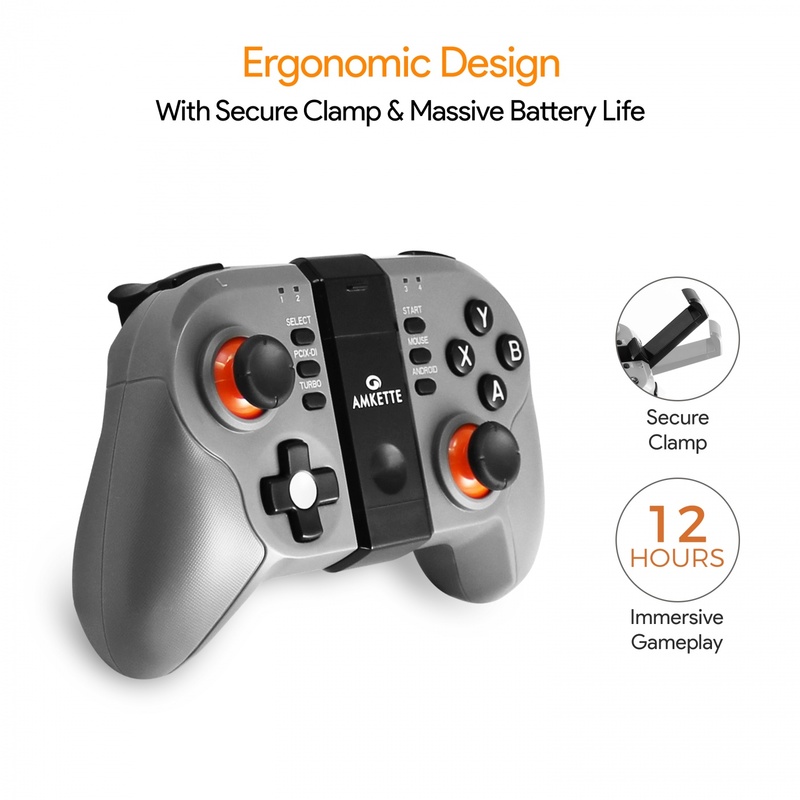 You can also connect this gamepad to your PC (Xinput mode) or PS3 with a Wired connection. Also comes with a MOUSE mode when using with an Android TV device. 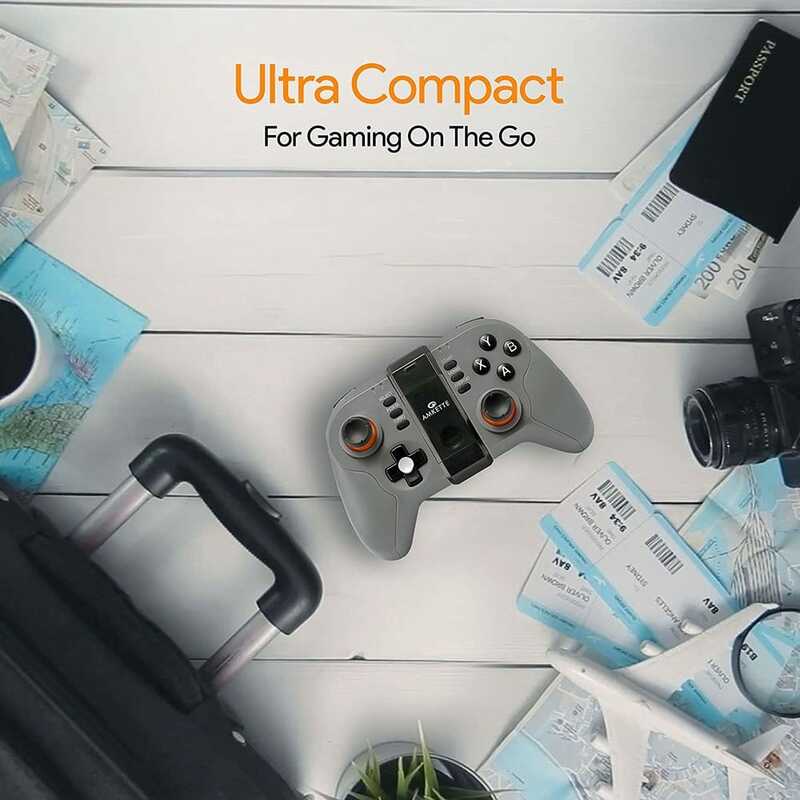 ERGONOMIC DESIGN WITH INBUILT SECURE CLAMP – Understanding the need of a gamer, our gamepad has a textured rubber grip to make it anti-skid and comfortable for long hours of play. With our super strong and secure clamp, you don’t have to worry about your smartphone’s safety. The clamp will fit ALL Smartphone Models. Smartphones are the new Gaming Consoles. BUT for all the advantages of a touch screen, they don’t fulfill the needs of a serious gamer. We need a comfortable grip, a screen that is not covered by our own fingers, easy to carry design, and most of all, we need quick access to all the buttons, with accurate controls and precise movements. 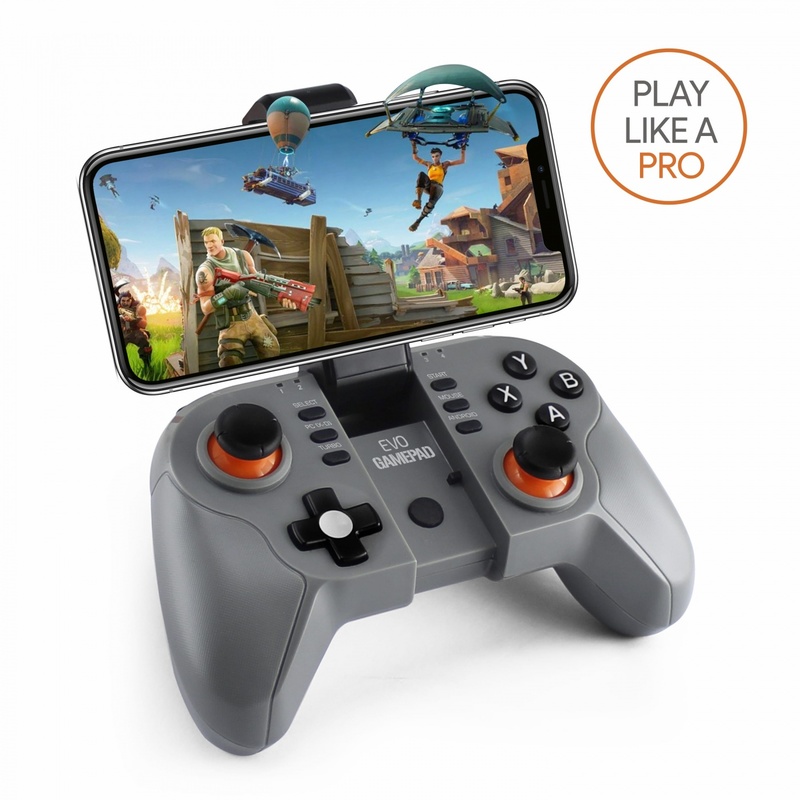 In short, we need a gamepad for our smartphones. 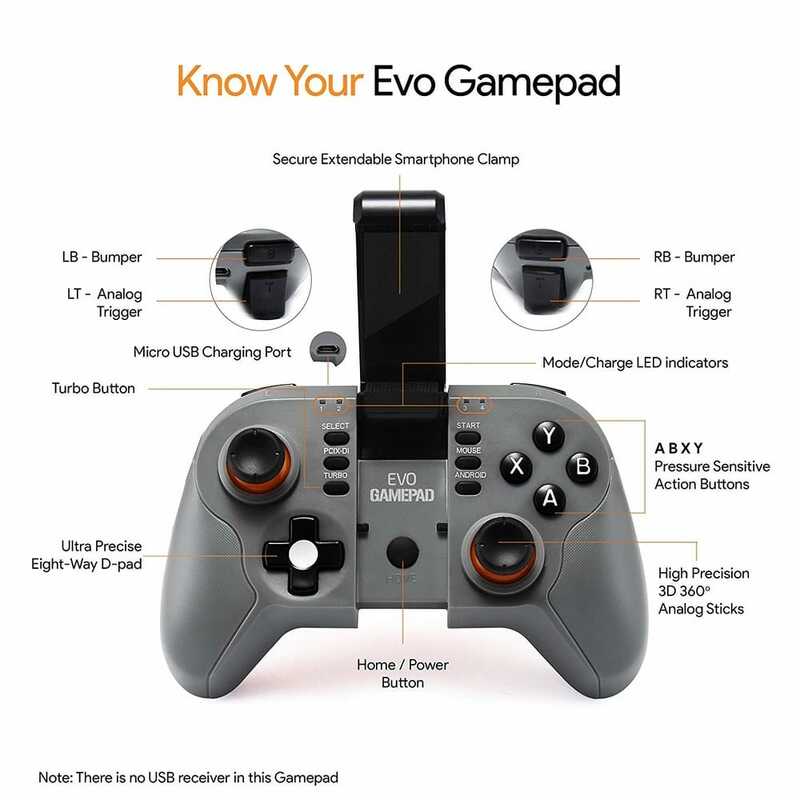 We need the Evo Gamepad.